Join SCORE for a FREE Workshop on Hiring Your First Employee! In today's business environment, hiring an employee has become a complex process with many potential pitfalls. This workshop is designed to help you through the process while avoiding common mistakes that could leave you vulnerable to lawsuits and government interference. While designed for entrepreneurs who have not been through this process, anyone who is unsure of whether they are hiring correctly should benefit. 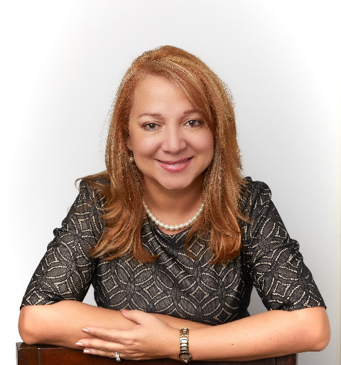 Rosa has over 25 years of experience in Human Resources Management in areas such as recruitment and selection, career and performance management, employment policy development, employee relations and workplace investigations. As a Consultant, Rosa shares her Human Resources expertise gained at Fortune 500 companies, with Small Business owners on matters such as hiring procedures, managing employee performance, developing employee handbook and employment policies, among other. She provides consulting services to the local business community in Jacksonville, where she lives. Rosa holds an MBA in Marketing and Finance, and certifications from the Society for Human Resource Management and Coach Training Alliance.